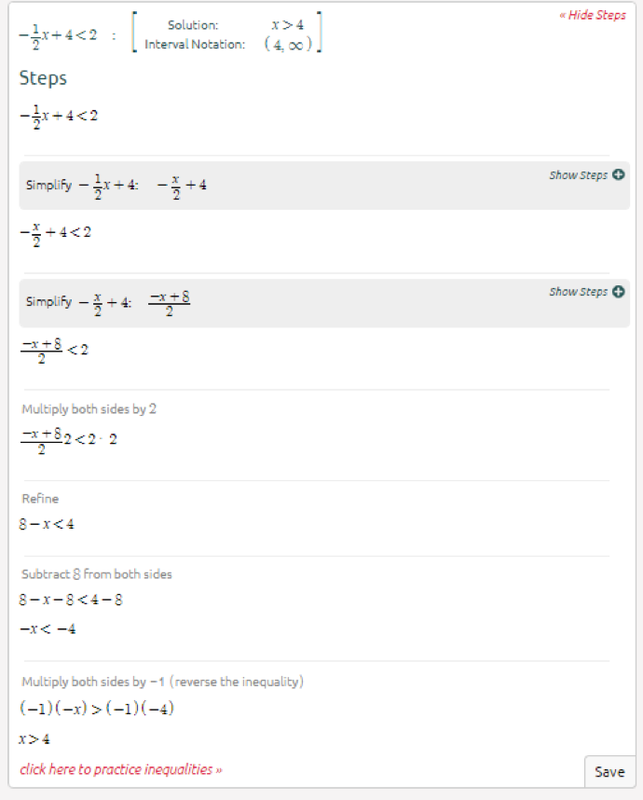 Solving linear inequalities is pretty simple. A linear inequality is an inequality which involves a linear function. Think of a linear inequality as a linear equation. You solve a linear inequality just like you would a linear equation, by isolating the variable using algebraic manipulations. 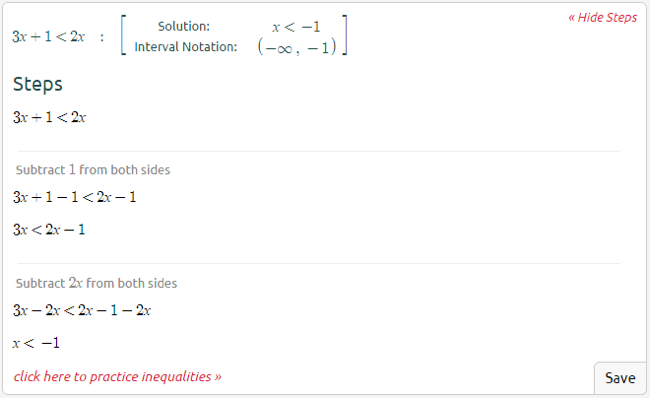 One thing to note: if you divide or multiply a linear inequality by a negative number you must switch the inequality sign. That means if you have -2y\le4 and you divide the linear inequality by -2 to isolate y, then the sign switches to ≥. The inequality becomes y\ge2. By using simple algebra, x was isolated and the answer was calculated. You can see that the sign was switched because the inequality was multiplied by -2. 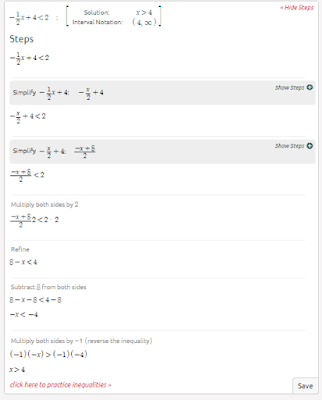 Solving linear inequalities is pretty simple if you’ve solved linear equations before. 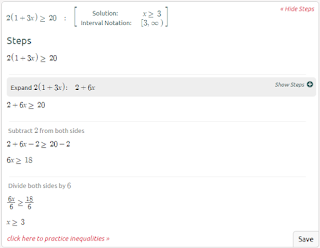 As long as you remember to switch the inequality sign when multiplying or dividing the inequality by a negative number, then you are good to go! 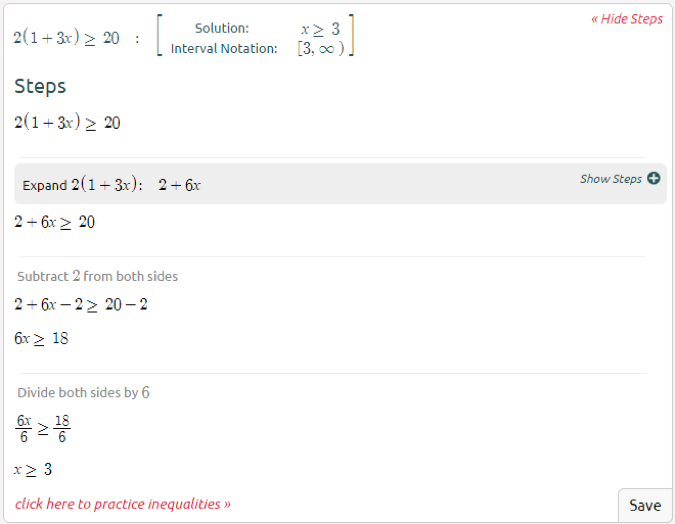 If you need more help or practice on this topic, check out Symbolab’s inequality practice. Buy assignments online from irelandassignmenthelp.com and submit your assignment in college on time and get higher marks in academics at lowest price. Students of ireland have trust on our writer that they will provide best quality assignment support to them. This dedicated support system is provided by eminent and experienced essay assignment help writers with profound experience in the academic field. Assignment help is one of the most popular assignment services in ireland. It's time to update yourself for Myassignment help services for getting good grades in academics. Dissertation writing is a tough academic task that is not possible for all the student to complete it accurately. So the online helpers at StudentsAssignmentHelp.com is continue giving its excellent Dissertation Help services and make their academic life easy. We always working to offer you with every academic discipline that you face troubles in.